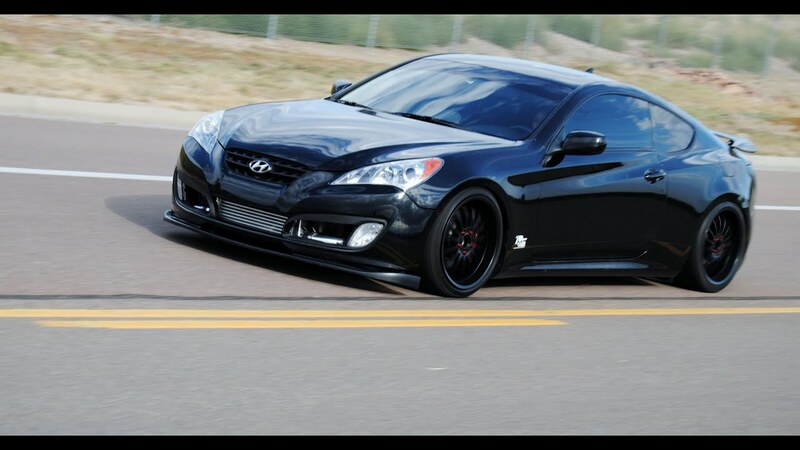 Forums » Grassroots Motorsports » Do we like the Hyundai Genesis Coupe? I have enjoyed my time behind the wheel, but I admit that it's been a while. Lately, though, I have been seeing these cars everywhere--or at least now they're really catching my eye. Just wondering what the rest of the crew thinks about them. Underappreciated? Lots of potential? Great bang for the buck? Meh? My bestie has an 09-ish Genesis that I really enjoy driving. It only has about 60k on it, but nice solid luxury feel and they have had zero issue with it. 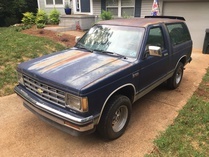 I haven't had much experience other than road tripping or commuting in it, (translated, I haven't hooned it) but I found it to be a very nice vehicle. There's a straight piped 4bang around my area that sounds pretty good for a straight pipe hoon mobile. Everyone I knew who has owned/driven/worked on/played with one pretty much had the same verdict: It's okay but it just feels really half-baked and sloppy. Almost all of them said the 350Z or 370Z was basically the same car but perfected. Even knew one guy who bought a Genesis coupe when they first came out and he said it was cool for the first couple months and then everything started rattling and falling apart and he ended up trading it on a used 350Z. The second-gens are also really, really, really ugly. I test-drove one the day I bought my Mustang. That's the same feeling I got: a good car that felt 95% finished. They're not that fast, but damn do they sound good opened up. I test drove one when shopping for my "fun" car. I liked it. Probably faster than it felt. I drove a top of the line, fully loaded 3.8L V6. Interior was pretty nice, very familiar Hyundai gauges. IIRC, the engine is lifted pretty much straight out of the Sedona minivan. I've been driving those for a decade now, so the noises were pretty familiar. Nice car, I liked it a ton. But it'd have to be $5k cheaper than a Mustang GT or G37 for me to pick it. My last boss had a 2014 V6 R-Spec, and it sounded awesome. But it also felt pretty cheap inside as well. Not long after that I went new car shopping but ended up with a 370Z instead. While it didn't sound as nice, it did everything else a notch or two better. But it was also $6k more expensive. The materials inside were far better and it just "felt" nicer. I considered it more of a touring car even in R-spec, probably more aligned with a G37 in terms of market. I ave always liked the look of them, but they seem to be more about posing, looking good, and pimping your ride. I NEVER see them at the autocross or track. Which is a shame because with a little more development, it could have been a decent platform. I actually considered a 4 cylinder R-Spec way back before I bought my turbo Sentra, but the power-to-weight ratio of those early models, combined with luke-warm reviews of the model's handling, changed my mind. I've heard that they've improved since those early models. I've only seen them autocross, where they were dreadfully uncompetitive and slow. Ricky Spanish wrote: I've only seen them autocross, where they were dreadfully uncompetitive and slow. Same experience here. They're in GS, where they get absolutely trashed by STs and GTIs. Someone brought a rental one to autocross last year. Lots of great noises, wasn't terrible time wise, but we have a small region so that isn't saying much. Not a bad looking car, but not my first choice at that price point. I had fun driving the 2.0T when it came out. No idea if it'd be competitive, but I think I'd own one if they were a tad cheaper. Strikes me as very large for what it is. Like Mustang size. Park one next to a FRZ/BRS86 or Miata and it's pretty stout. Looks like fun, though. I'd like to flog one on the autocross course and see what it can do. Hyundai seems to almost get me... but always fall short. This. That 3.8 sounds amazing uncorked. Being a current owner. It feels a lot better after you throw a couple of suspension and power mods at it. Still feels really heavy, coming in at 3300 LBs with me in the car. Some of the worst understeer I have ever dealt with. They would make a nice DD, and that's about it. Nis14 wrote: Being a current owner. It feels a lot better after you throw a couple of suspension and power mods at it. Still feels really heavy, coming in at 3300 LBs with me in the car. I'd really like to drive one like this. I've only driven one or two. I was looking at a new one at the time and had just compared it to a new Mustang, and dads G37--a car which I wasn't going to buy. It was Like it looked at a G37, a Miata, and a Mustang and wanted to be one of those and tried to be all of them and just came up short--a jack of all trades and master of none. In the end I didn't buy anything as my situation changed... but it wouldn't have been the genesis. and that's light compared to many cars. I know the BTR guys have been turbo'ing a crap ton of 3.8 GDI cars lately. They make stupid amounts of power pretty easily. I think the biggest thing holding these back in handling are A.) suspension and 2.) small front tires. Stock they're staggered wheels and tires and a nose heavy RWD car needs more than 225's up front. I did get to auto-x a 2.0R-spec when they came out around 2011. It was a great handling car (was wearing 245 RE-01's at the time) and the brakes were phenomenal. What it lacked was power. IIRC, the early cars were only 210hp (later pumped to 270 with the 2.0, 333 with the V6) and that just wasn't enough. I think these would make a helluva fun to drive Grand Tourer with the 3.8 GDI and 6-spd and a part time Auto-x'er for the non-srsbzns people. I've looked at them at the dealer while getting SWMBO's Sonata serviced. Saw them at the local autocross a couple times. Kind of heavy and underpowered for the weight against the class competition though. NickD wrote: Everyone I knew who has owned/driven/worked on/played with one pretty much had the same verdict: It's okay but it just feels really half-baked and sloppy. Almost all of them said the 350Z or 370Z was basically the same car but perfected. Even knew one guy who bought a Genesis coupe when they first came out and he said it was cool for the first couple months and then everything started rattling and falling apart and he ended up trading it on a used 350Z. The second-gens are also really, really, really ugly. The 350Z is a huge disappointment of an automobile.